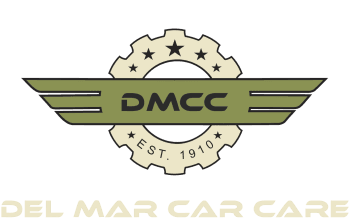 Del Mar Car Care is here to provide only the highest quality of service. We here at Del Mar Car Care have built our business and our reputation on earning our customer’s trust with honesty and integrity. We will never forget that the customer is the reason Del Mar Car Care is in business and will constantly strive to gain and maintain each other’s trust and confidence. "The staff at Del Mar Car Care have always been helpful. They have provided me with detailed information on problems as well as cost. Being new to the area and concerned about what they were telling me, I would call my brother in Boston who worked on cars and he would confirm what they told me as well as the price, they always seemed to be reasonable. They have never tried to sell me something I didn’t need and they always advised me on what things should get fixed first based on safety. I am always recommending them to my friends and co-workers when they are looking for an honest, reliable auto repair shop." "Ray and the guys at Del Mar have been looking after my car for years. I appreciate that they don’t oversell you on repairs. If there is something they find but that you don’t need to fix right away, they’ll tell you that it can wait. I’ve always found the service to be great and I’d highly recommend them to any friend." "Shawn and crew did an amazing job helping me dial in my truck when I had an incident involving my hub bearing assembly failing on me. I have an aftermarket suspension setup and I am so glad these guys know what they are talking about when it comes to aftermarket. Most places won't touch it because they dont know anything about it. They helped tighten everything up and got me back on the road asap. Can't say enough good stuff about Shawn and his shop. I will be coming back for any further needs as I know I can trust them." "Del Mar Car Care was very nice to me when switching my license plates yesterday. The owner, Jeffery, insisted on free service and seemed like he generally wanted to help me. Definitely will be a regular customer there:) Highly recommended." "Great experience with the folks at Car Care. My husband had his car there for several days for work on the tires and wheels. Sean was fantastic to deal with, great communication throughout. Wonderful facility super clean and modern. Would highly recommend this place for all your car needs!" "You never get a second chance to make a great first impression and this place nailed it. From the friendly informative staff, spotless shop and clean waiting area I felt that I was in the right place to have my car serviced. I was told that I had bushings that are wearing a bit prematurely but replacing them could wait. They even took me into the shop when the car was up on the rack to show me the wear they were talking about. It's clear to me that this is a very well run business that doesn't need to push unnecessary services to stay in business." "Was referred to them by my guy (that’s right, I got a car guy) over at Carmel Valley Collision. Nice to know I now have a mechanic as well as an auto body guy. Their quote for my timing belt was 600 less than the dealer wanted. Going to pick the car up today, but from all accounts, I dont think Ill have anything to complain about. Nice to have a good honest mechanic in the area. Update…these guys were great, the car runs great, I’ve got no complaints….and I saved a bunch of money. I will be back….but hopefully not too soon." Del Mar Car Care has won the Readers Choice Gold Award for the 10th time running.